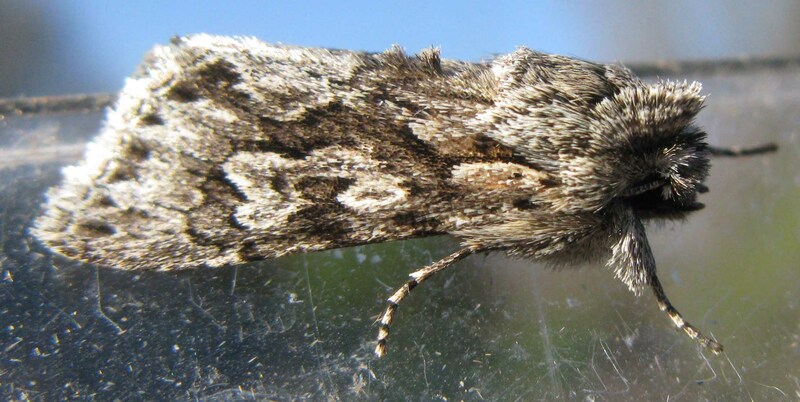 Forward to 5 May 2013 web page, back to 16 September 2012 moth page, to general moths page. The first weekend of the year when, given the cold winds of our extended winter, trapping has been feasible. It consisted solely of an unprecedented six Early Greys. Maybe they have been queuing up waiting to come out?